A review by both our youth and adult reviewers. A unique title landing page on the KIDS FIRST! website featuring your title's reviews by both youth and adults, your trailer or sample clip, cover art/poster/production still, and a link to purchase the product, if appropriate.. The right to use the KIDS FIRST! endorsement seal and rating on all promotional and packaging materials for no additional fee. An official letter of endorsement from KIDS FIRST! and an endorsement certificate. Appearance by a representative of the program on the KIDS FIRST! Radio Show, KIDS FIRST! Coming Attractions which airs on IHeartRadio and Voice America (140,000 listeners/month). Mention in our newsletter: KIDS FIRST! News (45,000 readers/mo). Mention on our KIDS FIRST! Social media (450,000 reach). Our endorsement fees are extremely reasonable and there are no restrictions on release date. The KIDS FIRST! Film Festival accepts more than 200 films every year, changing the programming frequently. To find what films are currently playing, visit our online programming page. Criteria for programs accepted to the KIDS FIRST! Film Festival: one of the strengths of our programming is that 1) All the films must meet the KIDS FIRST! baseline criteria so they contain no inappropriate sexual behavior, violence, language or anti-social behaviors. 2) All films have been screened with the purpose of identifying the most appropriate age category for which they are suitable. Please read the description of our film festival prior to submitting your film. We are unlike other festivals in that we partner with 50+ venues nation- and world-wide..
More About the KIDS FIRST! Film Festival here. A KIDS FIRST! recommendation is given to TV series in place of an endorsement. Whereas endorsement requires evaluation of every episode in the series, a "Recommendation" is based on the evaluation of three sample episodes from the same season. Recommended programming must meet or exceed the KIDS FIRST! criteria and are given a one-, two- or three-star rating indicating good, better and best. Who are our Adult Jurors? Look here! Who are our Youth Jurors? Look here? 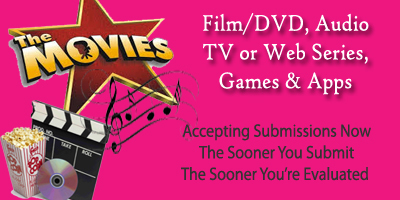 Films, DVDs, Audio Recordings, Webseries, E-books and Screenplays. KIDS FIRST! Adult Jurors, a group of media professionals, educators, film programmers and parents as well as our KIDS FIRST! Film Critics, a group of young people ages eight to 21 who lend their youthful point of view. These kids are trained in our film critics boot camps, live and online throughout the year. They attend press screenings, interview talent and review all the latest film, DVD, music and interactive media releases. What People Say About KIDS FIRST! Our [email protected] program was a rousing success last week and your KIDS FIRST! films played an invaluable part in that achievement!! We screened a total of eight shorts during the course of the program. Each and every one was well received by our fifth grade audiences. Light Sight, Free Advice, New Boy, Daisy's Oracle, The Probability Of Love, The Talking Goldfish, Two Balloons and Falling Up were all favorably rated by our young film critics. The professional educators who attended were very pleased with the quality and variety of this collection. Approximately 1000 students attended this year's events - more than we have ever hosted during the ten-year history of [email protected]! Our school district liaisons are delighted by the fact that they can always count on KIDS FIRST! Films to provide a selection of films that is not only age-appropriate and entertaining, but is also a source of inspiration and useful life lessons. I look forward to continuing our relationship with your company and to growing with you in our collective efforts to bring the power of film to our youngsters! Thank you SO much!! a nonprofit organization supporting quality children's media since 1991.